Congratulations to Elizabeth Strout, author of Olive Kitteridge, for her Pulitzer Prize in Fiction! Such awesome news for her. 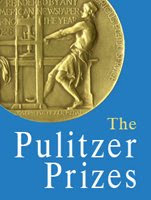 >I have to say, OLIVE KITTERIDGE was a wonderful choice for the Pulitzer. Personally, I’m so glad Jhumpa Lahiri didn’t win. Too much undeserved praise has been heaped on her already, in my opinion. I read her most recent book and was very underwhelmed and found it filled with grammar mistakes. I did love OLIVE KITTERIDGE, though. >I also am not a fan of Lahiri. You and I may be the only ones, however. I thought OK was excellent and that Strout’s PP was richly deserved.